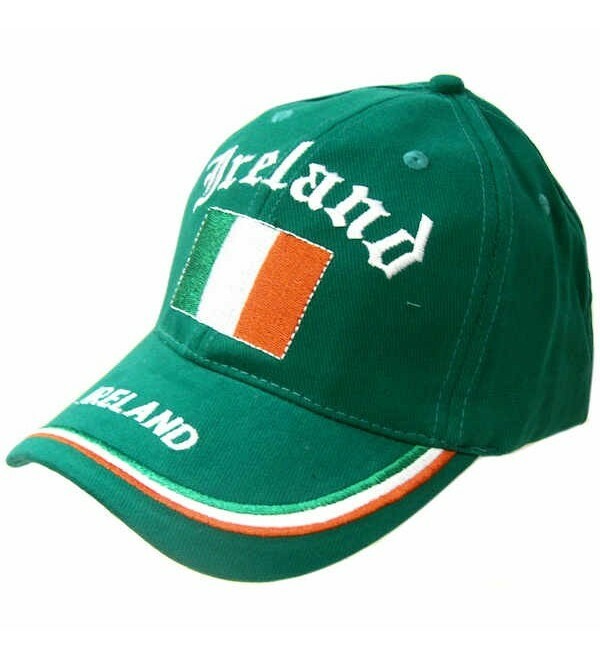 Green cotton baseball cap with embroidered Ireland flag, name and accents front and back. 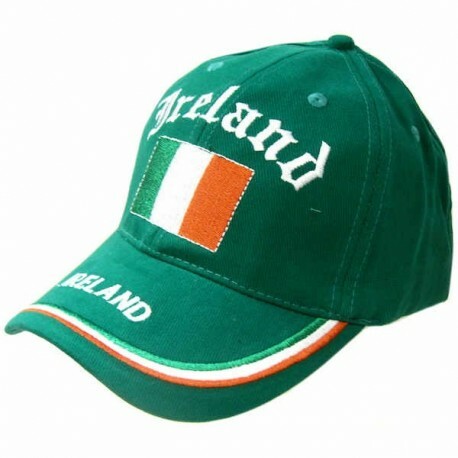 Green cotton baseball cap with embroidered Ireland flag, name and accents front and back. Adjustable. One size fits most adults.